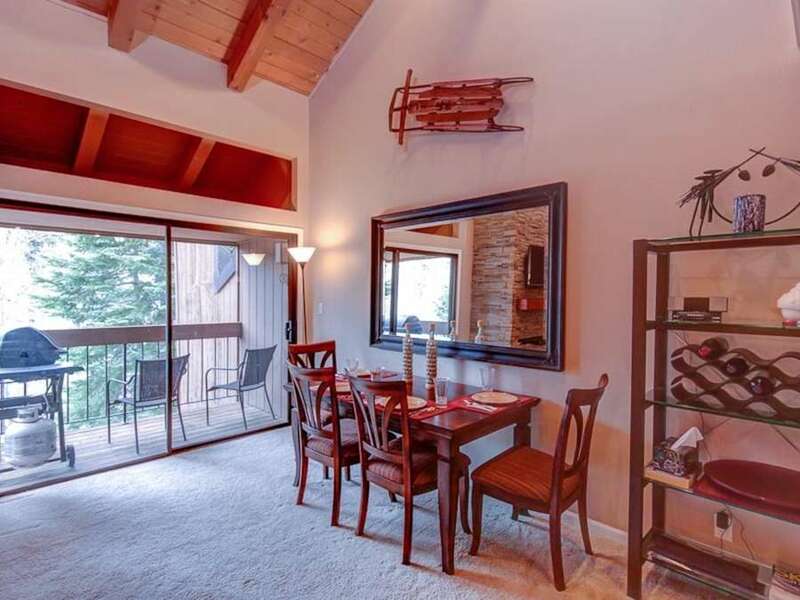 Dog-Friendly - Shared Hot TubCarnelian Woods Condo is available for a ski lease starting either December 1 for 5 months or January 5 for 4 months for $1950/month plus utilities.We do require that all our ski leases are cleaned monthly by our cleaners. 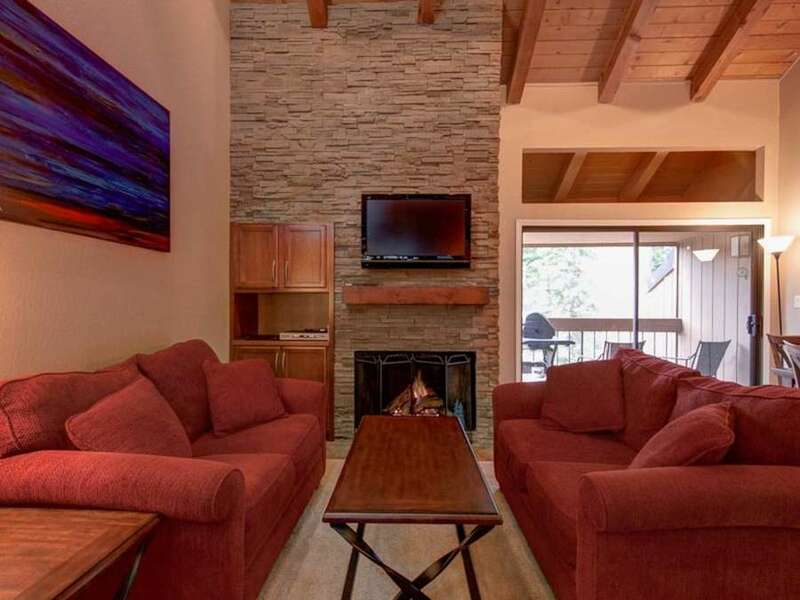 Carnelian Woods Condo is a beautifully maintained and well-equipped vacation rental condo walking distance to the North Shore of Lake Tahoe and with the great amenities of the pool, hot tub, tennis courts and club room of the Carnelian Woods Complex. 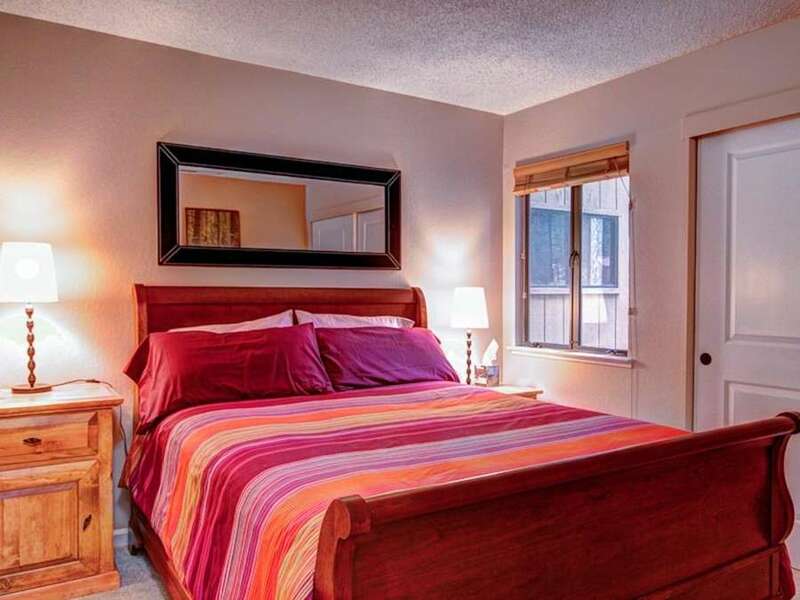 It is also dog-friendly and in the heart of Carnelian Bay. 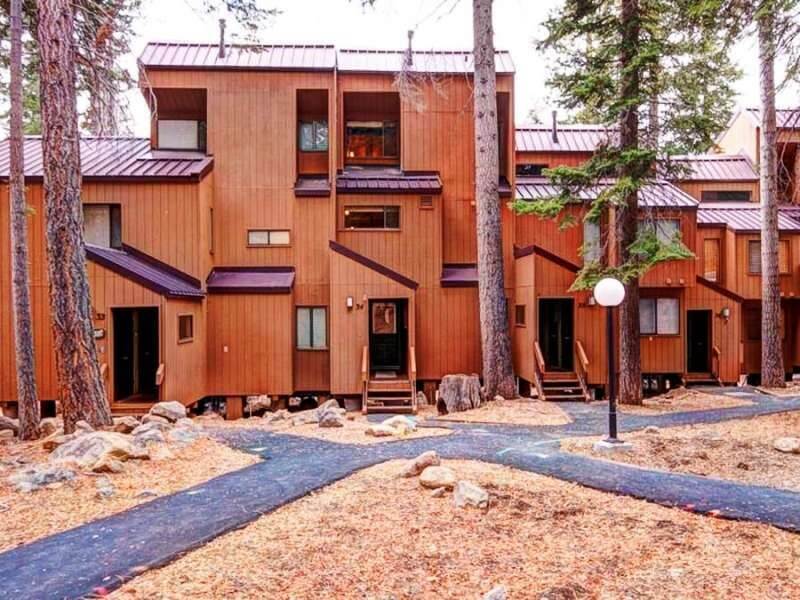 This North Lake Tahoe vacation rental is in a great location and has a great layout for socializing with friends and family! The open plan living area with high ceilings, stone fireplace with gas stove, comfy couches and a dining room table that seats 6. 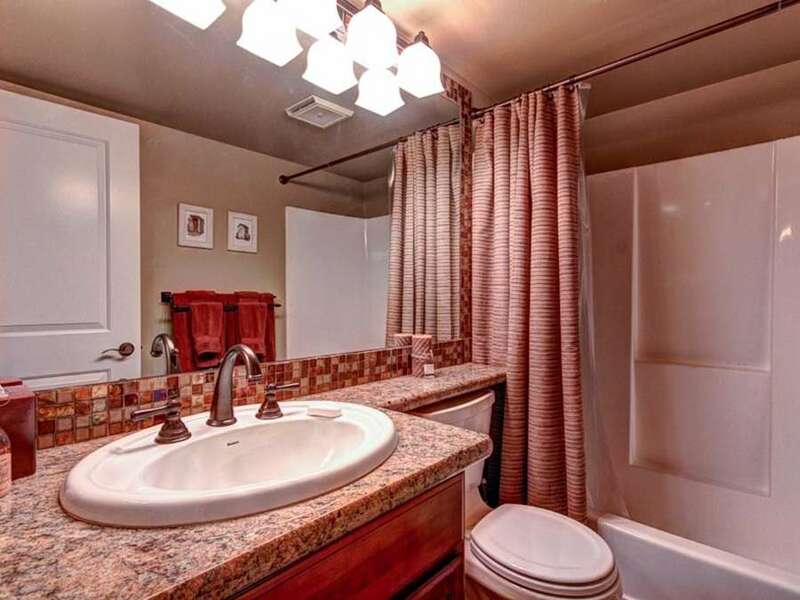 There is also a flat-screen TV, cable, and WiFi. 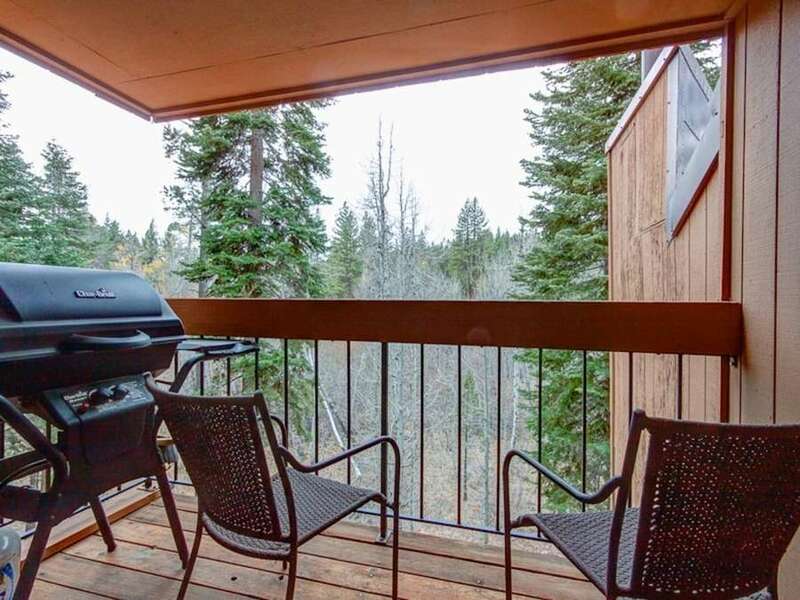 The deck off the living area is a great place for morning coffee or for enjoying a beer while barbecuing. 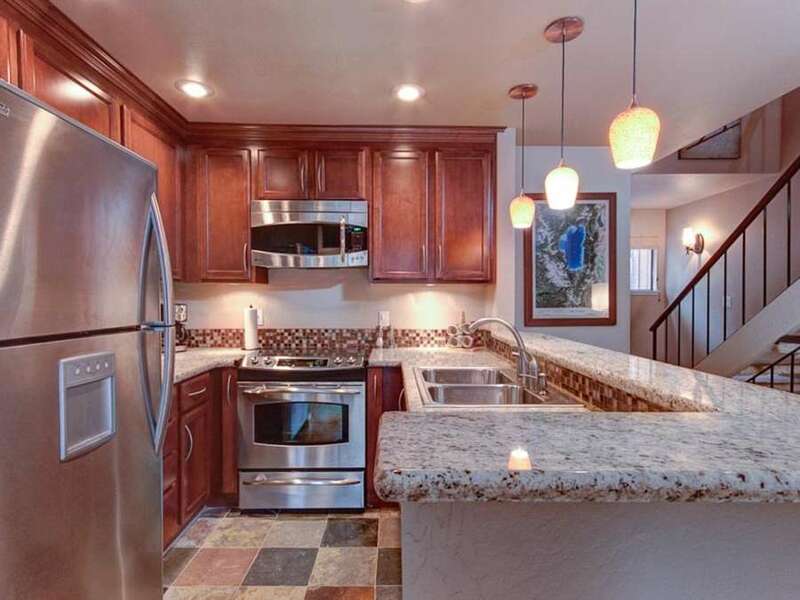 The kitchen has been renovated and has high-quality stainless steel appliances and is well equipped. 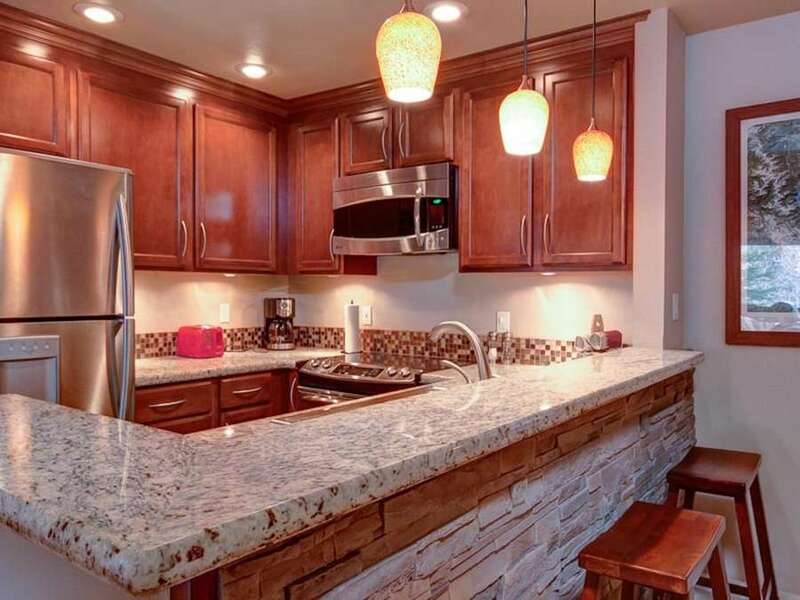 There is a breakfast bar with three seats, a great place for keeping the cook company. 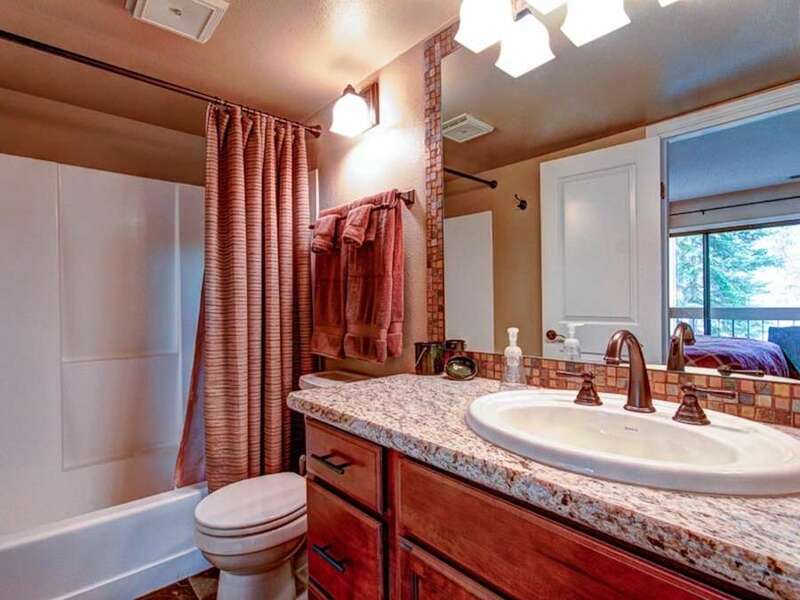 There are three bedrooms, 2 of which are on the lower level. 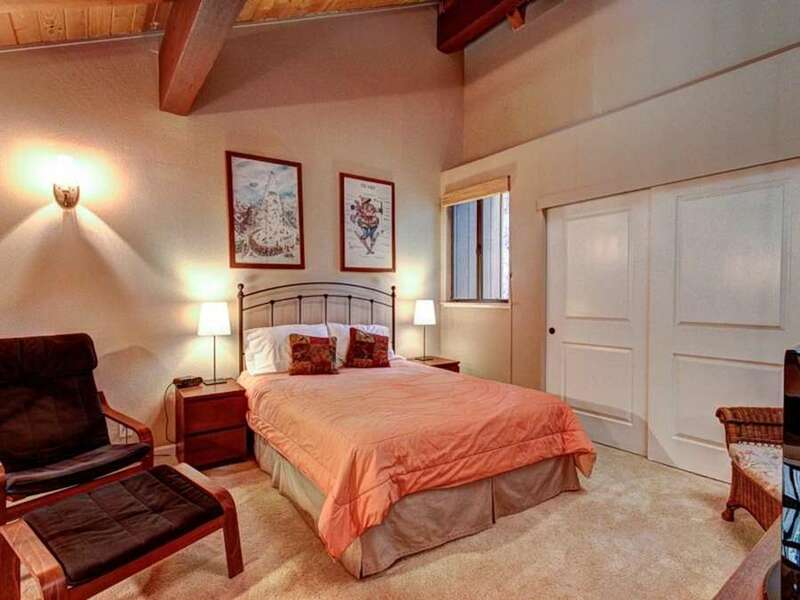 The master bedroom has a king bed and the second bedroom with a queen bed. 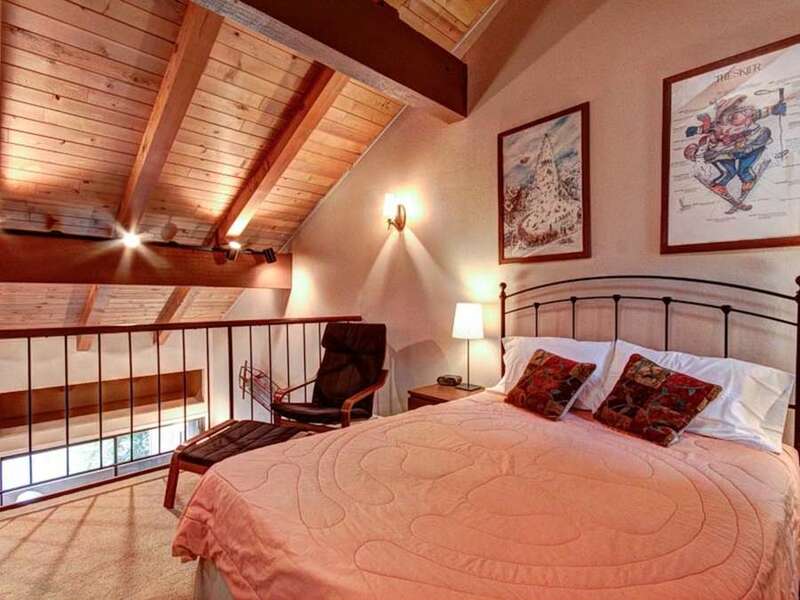 On the upper level, there is a loft bedroom with a queen bed. 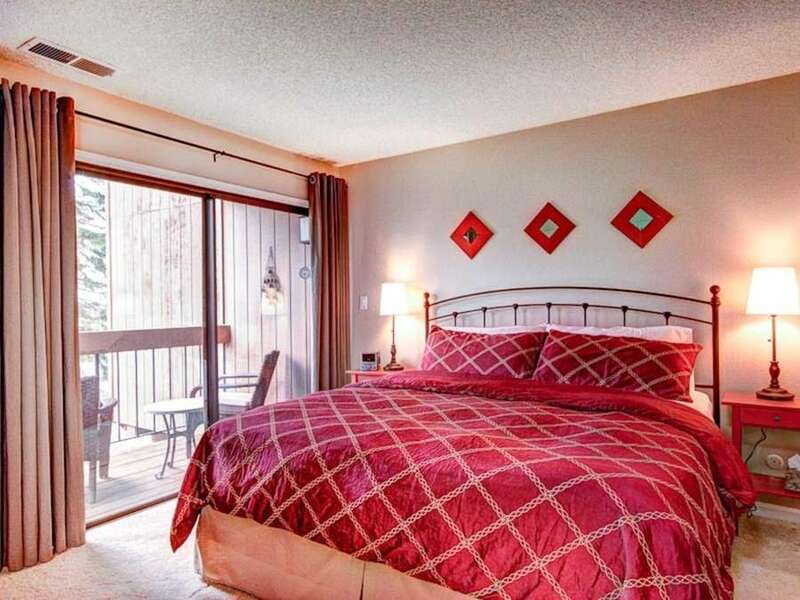 In close proximity to the condo, you will find the great amenities of the Carnelian woods complex. 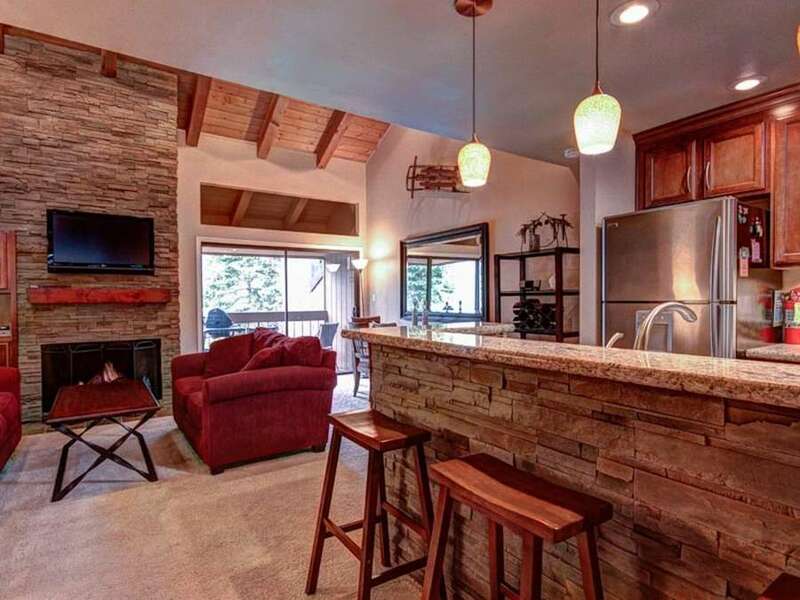 The Lodge has a pool table, games room a great stone fireplace and a large kitchen, and there are also some tennis courts. The pool is in a beautiful setting and always beautifully cleaned. A few minutes down the road will get you to Patten Beach, a great dog-friendly beach and a great place to Stand Up Paddleboard. Waterman's landing located on Patten Beach has a great Cafe with good coffee and freshly prepared food. They also rent all sorts of self-propelled watercraft, including SUPs and Kayaks. It is also a great place for a happy hour drink watching the sunset. You can also walk to CB's Pizza, 7-Eleven, Garwoods, the Old Post Office Cafe and even a mini-golf course! 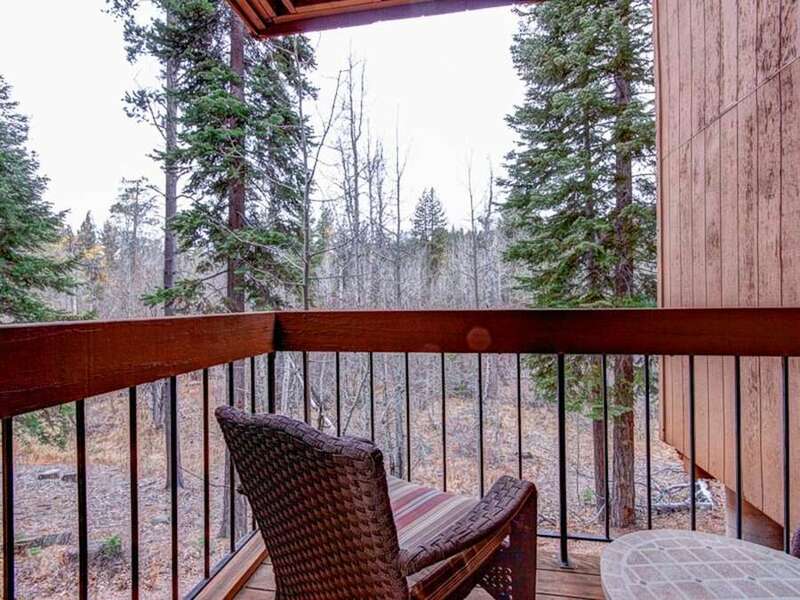 In winter, Squaw Valley, Alpine Meadows, and Northstar are around a 20-minute drive (in normal traffic), and there are also many other great cross county and downhill ski areas in the area. We will definitely stay here again - thank you! I would have given a 5 experience. We were not able to use the spa and limited use of the pool. The guy who is taking care of the pool and spa is a heavy smoker. The place is clean and neat. Thanks for letting us stay in your condo. We loved it.